Physical Address: 3051 South Rooney Rd. Bandimere, CO - Other racers visiting the Lucas Oil winner’s circle this weekend were Christine Harris, West Des Moines, Iowa, in Comp Eliminator; Timothy Schuster, Littleton, Colo., in Super Comp; Dane McIntosh, Powell, Wyo., in Stock Eliminator and Ryan Stifflear, Lakewood, Colo., in Super Street. Topeka, KS - Bandimere Speedway took home the team title at this weekend’s NHRA Summit Racing Series West Central Division Finals at Heartland Park Topeka, Topeka, Kan. The team from Bandimere shared the winner’s circle with five individual winners including Kanas racers Todd Piper and Eugene Lamb. Morrison, CO - Rampy bagged his 96th national event win as he ran down Jessie Oman who got the jump in the Comp Eliminator final round. Oman took the early lead by .025 seconds but Rampy’s ‘32 roadster had the power at the top end to take the win. Morrison, CO - A pair of West Central division hitters faced off in the Super Comp final as Jeremy Demers, Carroll, Iowa, used a .007 second reaction time to force Gary Stinnett, Emporia, Kan., to break out by just .001 of a second running 9.499 on the 9.50 index. 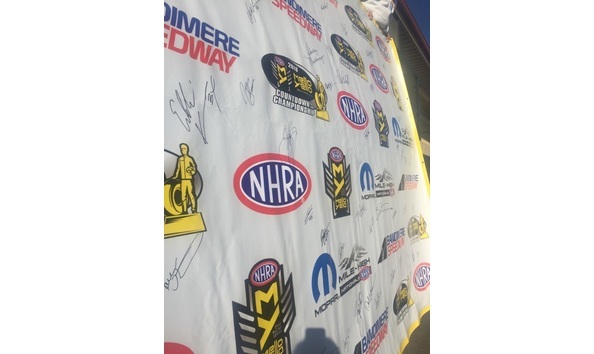 Morrison, CO - This banner was on display at the press conference held before the 2016 Mopar Mile High NHRA Nationals, and was signed by all of the drivers who qualified in the 4 professional categories at the event, along with a few others like Shirley Muldowney. Bandimere, CO - The other drivers visiting the winner’s circle were Don Thomas, Amarillo, Texas, in Comp Eliminator; David Bogner, Kearney, Neb., in Super Stock; Barry Pollard, Regina, Sask., in Stock Eliminator; Todd Piper, Wamego, Kan., in Super Comp; Paul Prange, Las Cruces, N.M., in Super Gas; Sondi Abbott, Elizabeth, Colo., in the Fine Line Madcap Top Dragster; and Steven Hicks, Aurora, Colo., in Super Rod. Morrison, CO - Phil Unruh, McPherson, Kan., collected another Lucas Oil divisional win in the Fineline Graphics and Madcap Racing Engines Tog Dragster final. Unruh, faced off against J.R. Lobner, Gardner, Kan., and posted a winning run of 6.651 seconds, 205.51 mph. 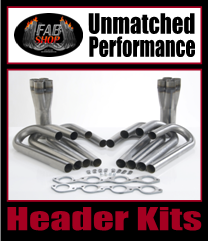 Morrison, CO - In the final results from Bandimere Speedway and the NHRA West Central Division Summit Racing Series, it was the home team from Bandimere that won the Team Championship while four individual champions were crowned as well.